Pharos is the result of 2 years of development by founders Alex Davis and Craig Karger. The two friends met in law school in New York City but forged a friendship over the mutual love of horology. Craig, a collector since he was 13, has been involved in the watch industry for the past 5 years. He runs two large watch Instagram accounts, @wristenthusiast and @horologyandmore, and consults on social media with various watch brands. Alex is a media attorney who specializes in business development and is often traveling the world for his business endeavors. With Pharos, Craig and Alex set out to create a watch that paid homage to the ancient lighthouse through a modern, light-inspired design. 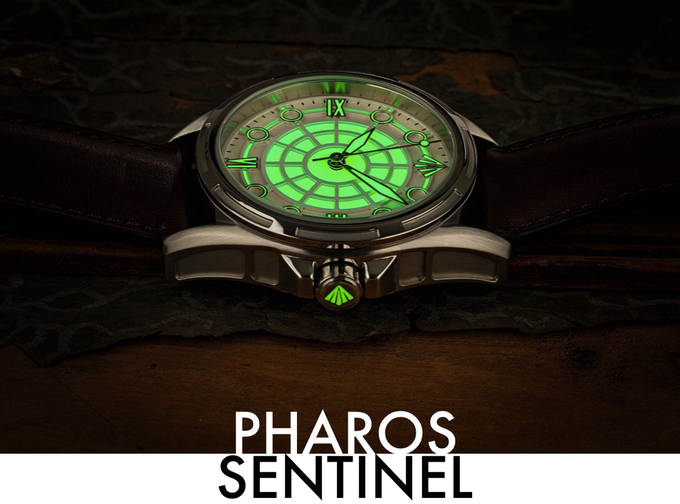 The avant-garde “full lume dial” Sentinel is the result of their dedication to these ideals.